NIZHNI NOVGOROD, Russia -- Uruguay manager Oscar Tabarez doesn't say it openly, but he clings to an idea. It revolves around a personal objective. Like any Uruguayan, he wants to win the World Cup. Against France, he will seek another step toward making that so. "Thinking about that [a world title], it should stay private," Tabarez said. "Making that sentiment public can distract whoever says it. First off, we should win [Friday]. We have a shot of doing so and we're going to cling to that." Uruguay arrived in Russia under the radar. After their quiet qualifying round, the side began thorough preparations for the World Cup. Calmly, patiently and without issue, Uruguay worked with the goal of accomplishing big things in Russia. There were no obstacles, nothing to distract from the focus. In the months after qualifying, they put together a vision that's three wins away from turning into an epic reality. "We know what Uruguay's reality is. Like the song says, 'Never the favorites, always the underdogs,' and that's something that fills us with pride," Tabarez said, citing "Descolgando el cielo" ("Bringing down the heavens"), an anthem to the team by Uruguayan artist Pitufo Lombardo. "The story of this game [against France] might come down to some past presumption, but it will be written by the players on the pitch. We have great hopes of winning this game, and afterward, if that happens, we'll rest, then prepare for the next one." Tabarez's calmness is one of the keys for Uruguay, a side that plays with intensity but never with despair. France will be a dangerous opponent. 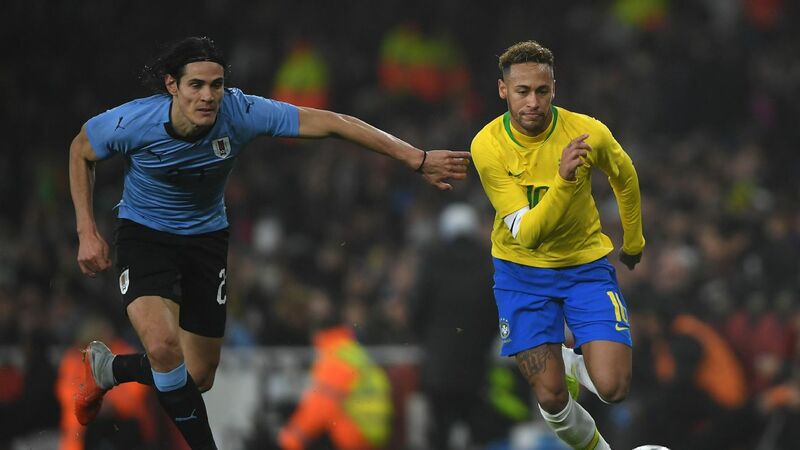 After Uruguay's convincing group-play win over host Russia -- the hot team heading into the quarterfinals -- and defeat of European champion Portugal with Cristiano Ronaldo in all their glory, the time has come to face a side that arguably has the most championship pieces. Tabarez even recalled Uruguay's historical football ties with his opponent, such as his country's quarterfinal win over Les Bleus in the 1924 Olympics, and the first World Cup goal ever scored, which came on Uruguayan soil courtesy of France's Lucien Laurent. La Celeste's secret dream is fueled by knowing well their virtues as well as their weaknesses. "No one can come and tell us what type of country we are, what our demography is, our handicaps and limits," he said. "We're clear on what we are. It's a part of us and we value it when we compete. It happened in South Africa and in Brazil in 1950." 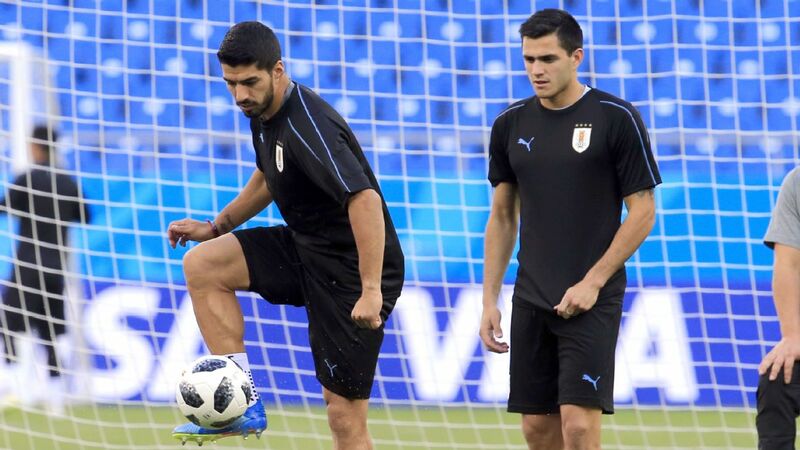 When considering Uruguay's strengths, the first one that comes to mind is their defense. It's an obvious one just by looking at the numbers: Along with Brazil, Uruguay have the fewest goals against (one) among the remaining teams. Their history is also taken into account, one that is rich with solid, reliable teams. "We don't beat our chests over it, but we realize that's how it is. We rely heavily on our defensive strength because all teams must confront it at some point in the game," Tabarez said. "Everything that happens on the pitch comes down to four tactical concepts: how you attack, the transition from the attack to defense, how you defend, and how you switch from defense to attack when you get the ball back. I'm not saying we're a completely balanced team, but we're not going to turn our backs on our strengths." The general feeling across Uruguay is reflected partly in the national team's coach. Tabarez acknowledged that this World Cup is the best one he's experienced. And even though neither he nor anyone on his team is thinking beyond what happens Friday, those private hopes remain -- and are visible on the horizon.